Thank you for being Boativated. (TM) Our Crew Welcomes You. To see our blog articles: Go to Boativated Blog or click on a recent post or a category on the left. BOATIVATED:(TM) boah-tuh-vayt-ed: having an urge or compulsion to go boating, yachting, or cruising; having a need to talk about boating, yachting or cruising, or to buy related gear or supplies; having an urge to buy a boat of any size. 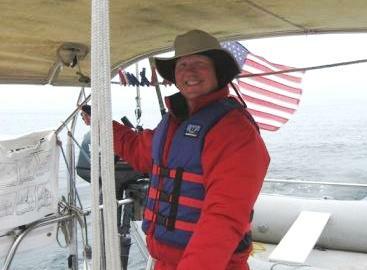 This website is designed to help provide safe and fun boating in the Pacific Northwest (Washington and British Columbia). We discuss crossing the border, boat safety, boating legal questions, Pacific Northwest marine parks, and cruising guides. 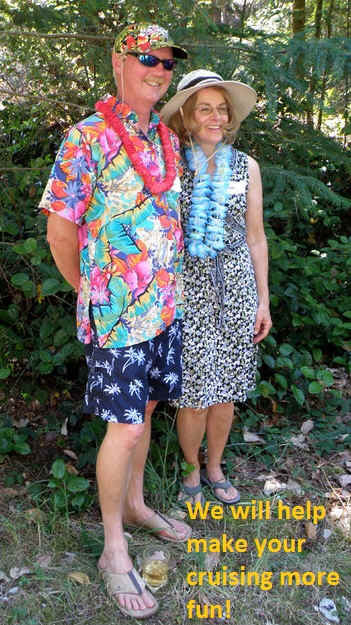 Curt and Mary Epperson have been cruising the Pacific NW for decades and have a wealth of information to share. All information is believed to be correct but is offered without warranty. Every boat operator must know the rules and regulations. You must always obey the Navigation Rules. We answer common questions on our posts. To read post, simply click on a category on the left,or visit our POSTS PAGE. 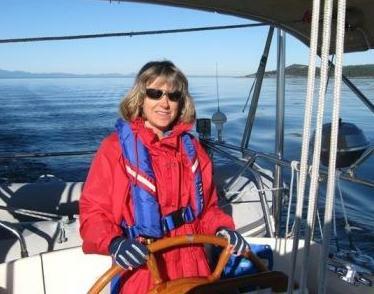 Pages on Boativated.com contain specific information about cruising in the beautiful Pacific Northwest. If you want “how to” information visit Cruising Tips. There you will find tips about cruising with kids, cruising with pets, anchoring, shore tying, tying to buoys, and basic navigation. If you want information on where to go try Destinations, and Charter Help. If you have questions about crossing the border by boat go to Border Crossing. Mary has some great, easy to prepare Recipes. Curt and Mary Epperson have extensively explored Puget Sound, the San Juan Islands, the Gulf Islands, the Sunshine Coast north of Vancouver, Jervis Inlet to Princess Louisa, Desolation Sound and the surrounding areas, the Broughton Islands and surrounding areas, and the west coast of Vancouver Island. They currently have an Amel 46′ ketch located in the Caribbean and have cruised from Puerto Rico to Grenada. Curt spent childhood summers boating on the family’s 18′ “cabin cruiser” beginning in the early 1960’s. Curt and Mary bought their first boat in 1981, a US 25 sailboat. They subsequently owned a Beneteau First 32 sloop, a 26′ Sea Ray power boat, a 35′ Wauquiez Pretorien sloop and a Gozzard 37 Cutter. They currently cruise aboard an Amel 46′ Ketch, in the islands of the Caribbean, researching parks, ports, harbors, anchorages, cities, towns, villages, and other destinations and activities. Mary takes thousands of photos on every trip, some of which can be seen on this website. Curt is an attorney and graduate of the University of Washington Law School. In addition to his law degree he has a degree in Law and Marine Affairs. Curt is the author of the book, “Keeping Your Boat Legal” and the creator of the “Keeping Your Boat Legal Vessel Documents and Information Manual”.